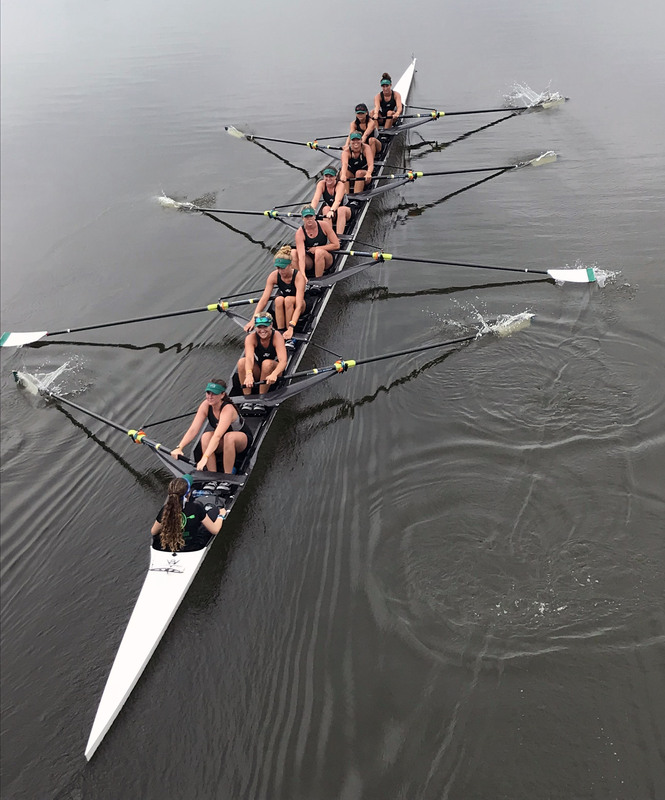 Madison Boyer, a junior sports business major at Jacksonville University (JU), has rowed for the JU women’s rowing team for two years since walking on as a freshman. 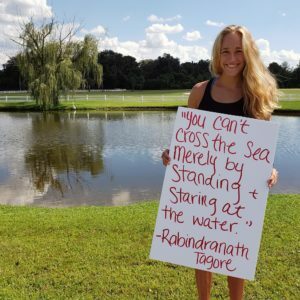 Madison played softball from the time she was three, but when she arrived at JU she wanted to try something different. Originally from Ohio, Madison wanted to escape the snow. “I only applied to schools in Florida, and I knew this was where I wanted to be,” she said. Madison wanted to attend a larger school originally, but that changed when she toured JU’s campus. “JU doesn’t have thousands of students enrolled, but it feels giant when you’re here. At the same time, I love how tight-knit it feels. Everyone knows everyone,” she said. 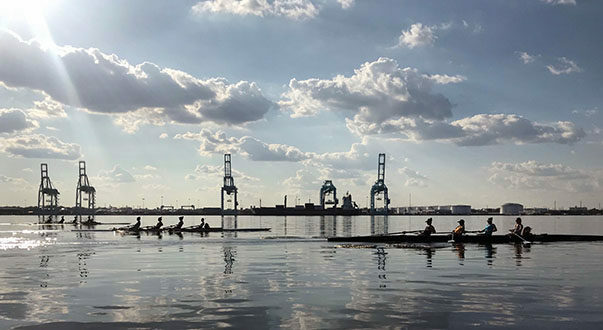 Madison says that one of her favorite part of rowing is fueling her competitive nature, but her greatest takeaway is the positive team atmosphere. “You have to trust everyone on the team to do their job. One individual can’t row the boat alone,” she said. 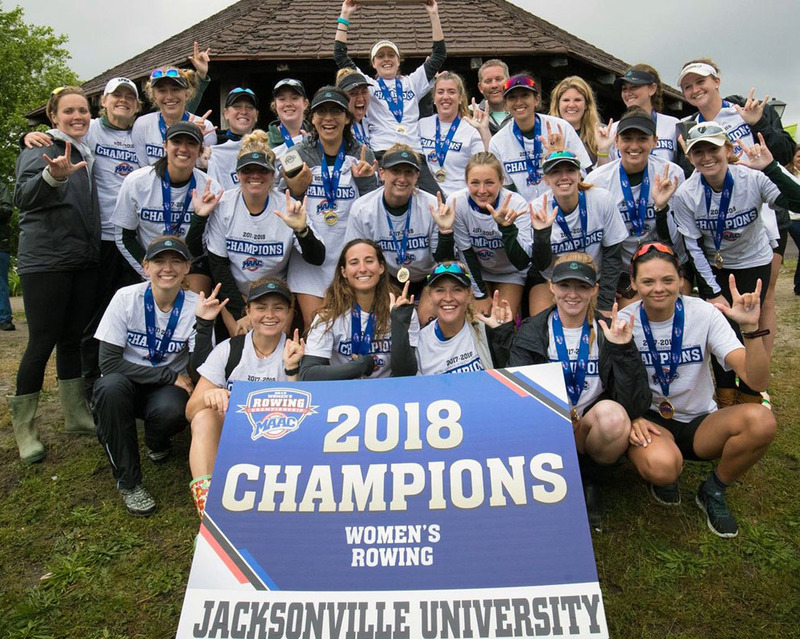 The JU women’s rowing team has won the MAAC Championship the last five years in a row, and Madison has raced in the last two. The teams race twice on race day, once in the morning and once in the evening. The top five teams then race for the championship. During Madison’s first win and JU’s fourth, the team collected 60 points by winning every event of the day. In the last conference, Madison won “All-MAAC First Team,” which are the top rowers from each boat. She was chosen for this alongside JU rowers Claire McLenna, Stacey Price, and Jessica Shipowski. When the team wins their conferences, they travel to the NCAA Championship and race against the top teams in the country.